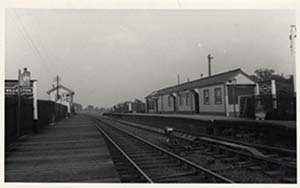 Railway staff at Willington Station in the 1950s. 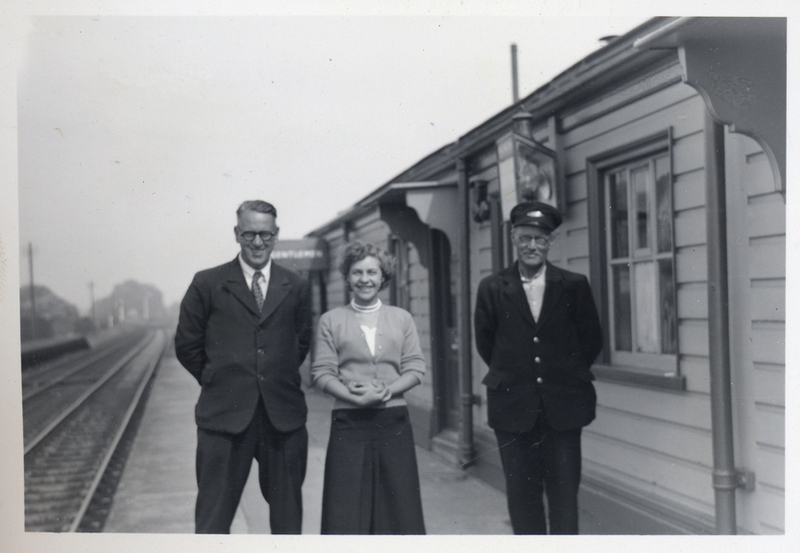 In the middle is Barbara Wooding, porter, who became the first female signalman in the Midland Region. Photograph courtesy of Bedfordshire and Luton Archives Service. Walk, run or cycle along the N51 cycle route through Bedford River Valley Park and you are following the old rail line that once linked Oxford and Cambridge. Nicknamed the Brain Line, it opened in 1862 and ran for just over 100 years until 1968, taking in 2 World Wars and startling changes in travel fashion and manners. Willington Station opened in 1903 after a long-running village campaign. Today the National Cycle Route51 runs through the station. Photograph courtesy of Bedfordshire and Luton Archives Service. The old Willington Station sits within the inner moat of Willington medieval manor, or ‘Danish Camp’. A goods transport siding and weighing station opened here in 1896, some 40 years after the Varsity Line first ran. Local market gardeners had campaigned hard for this transport link to markets for their vegetables and flowers. In 1903, a platform and wooden weatherboard station opened to passenger trains for Willington’s 200 or so residents – at first as a request stop only. A railway ticket issued on the last day Willington Station was open – 30th December 1967. Photograph courtesy of Bedfordshire and Luton Archives Service. Yet Saturday morning saw business as usual, and over the next two days some temporary buildings arrived to serve until the new, brick, platform was built. The second platform was added in 1912. Willington’s unusually long passing loop was extended even further in 1916 to accommodate the increased traffic of the First World War. If you travel to Bletchley today, you follow in the tracks of genius. Along this line, from Cambridge and Oxford travelled the silent stalwarts of the British efforts to crack German military codes, most notoriously the Enigma, and bring an early end to the Second World War. Mathematicians, linguists, crossword enthusiasts and scholars did daily battle against encrypted messages intercepted at listening-stations all around Britain. Bletchley was ideally situated to receive working visitors day and night – quiet, yet close to the Varsity Line and London. Steam trains hauled coal and other goods. This London Midland and Scottish locomotive was withdrawn in 1968, the year the Varsity Line closed. 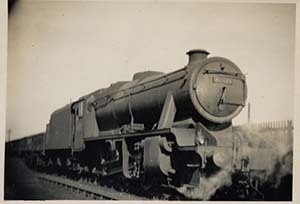 Photograph courtesy of Bedfordshire and Luton Archives Service. 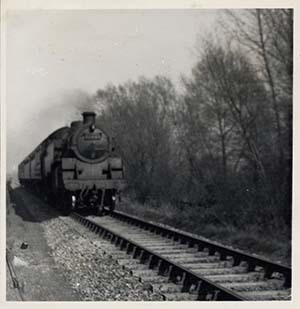 The Varsity link between Oxford and Cambridge closed in 1962 in the first wave of ‘Beeching Cuts’. In 1967 British Rail stopped running trains between Bedford and Cambridge. A year later all trains ceased between Oxford and Bletchley. Today, you can once again travel the section from Bedford to Bletchley on the Marston Vale Line. You can find the remains of the railway as you follow the cycle route west of Danish Camp. Today’s car park was once the goods yard and you can still see the stone remains of the old road to the weighbridge. The brick station platform is a little further on. Continue past the platform and you will find a brick railway workmen’s hut and a set of metal railway crossing gates which lead into a private field. Another 400m and you will find a wooden signal post.